Chase re-joins Illuminated Corridor Department of Public Works at the Oakland Underground Film Festival to illuminate the stylings of PUNK FUNK MOB and OAKLAND FADERS. Live video, film projections and other strange lights by Nick Chase, Suki O'Kane, Alfonso Alvarez, and Wayne Grim. Jeff Anderle and Jill Heinke give a recital of contemporary wind works at San Francisco Conservatory of Music. Included on the program, Heinke will recap her stellar performance of Chase's Gin Blossoms and Broccoli Boutonnieres for flute and laptop. 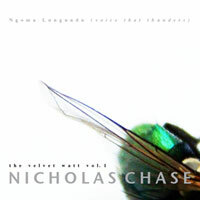 Chase will record premiere works for his upcoming CD release, SOLIFUGE: The Velvet Watt Vol. 2. The recording is made possible through an an artist's support award from Jack Straw Productions in Seattle, and will be engineered by Jack Straw's crew in their recording facilities. The CD will feature new electronic/interactive works premiered in performance at Jack Straw and San Francisco in the next few months. 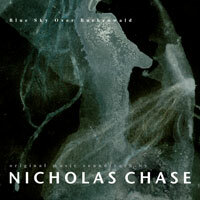 Chase begins residence at October with two small works, and continues residence at Jack Straw early in 2012. In production - to be recorded at Jack Straw in Seattle: a collection of new, electro-acoustic works by N F Chase, featuring Solifuge for bowed music stand! (YouTube clip here - courtesy of Mike McDermott). Chase's Ngoma Lungundu: The Velvet Watt Vol. 1 is available for CD quality instant download on Vibedeck and on iTunes and Amazon.com. Buy it now! Chase launches The UFOrchestra in the SF Bay Area. The UFOrchestra will feature original musical and intermedia works composed by Chase and performed by his star-class ensemble. Featured will be scenes from 11 Ideas as seen on WMHT TV in New York's Capital Region, and new interactive works soon-to-be-released on a CD recording made possible by Jack Straw Productions in Seattle. Watch here for details! Nick Chase joins Ehn Orchestra in Erik Ehn's Michiyuki: Traveling Songs and What a Stranger May Know. "Songs from the Michiyuki :: Traveling Songs Project are starting to be folded back into Erik Ehn’s 32 plays. The entire project is called “What A Stranger May Know,” written by Erik Ehn and being directed by Dor Cosby Atkinson for a west coast premiere in Fall 2011. The plays provide an outsider’s meditation on the lives of the victims of the Virgina Tech shooting, one play for every victim. It’s a monumental work: 32 plays performed simultaneously with the audience moving among the actors to, essentially, create their own memorial, not just of the VT shooting, but of the thousands of stories of loss we encounter as strangers." (From www.ehnorchestra.org). Follow the link to hear the Ehn Orchestra! I'm releasing music on VibeDeck! The music is available right here, right now, artist-direct! The 4-movement electronic opus inspired by IDM, video-game music, and a few nightmares b/w the 28-minute bass+electronics work featuring Contrabass Goddess Cristin Wildbolz out of Switzerland. Partly recorded at Studio Grasland, Haarlem. Music composed for the German Alternativer Medienpreis nominated radio documentary Wie kann es so schoen in Buchenwald sein? by Gabriele Rabe. Includes additional studio tracks not included in the documentary, and live piano performances by N F Chase. Preview the albums and buy artist-direct through VibeDeck. NIRUSU III - (Almost) Live at the Maybeck! The swinging-enigmatic-improv-trio recorded an album at the historic Maybeck Recital Hall in Berkeley, CA. Susan Allen on harp, kayagum and electronics; N F Chase playing laptop/electronics and turntables; Rus Pearson playing TWO - count them! TWO double basses! An eclectic collection of sounds and zany spontaneously composed works! Jill Heinke will premiere Chase's Gin Blossoms and Broccoli Boutonnieres, a new work for solo flute+electronics as part of the Other Minds Festival Composer Fellowship. This is the 16th year of the festival, which features world-premieres by composers from all over, as well as panels, workshops and other exciting new music events. The Other Minds Fellowship and Ms. Heinke's premiere mark the posthumous fulfilment of the work written for the late Dorothy Stone, who commissioned it in 2003. The Capital Region's WMHT TvFILM series repeats its 2nd season beginning Friday, January 7 at 10:00pm. The Season 2 opening features Chase's collaborative film 11 Ideas (About People and Stuff) with an interview and commentary by Chase about the making of the film, its concept and its future. More about 11 Ideas here. WMHT's TvFILM looks at what filmmaking is happening in the region. Guided by host Brandon Bethmann, TvFILM features short films to documentaries to animated shorts, and leaves no cinematic stone unturned. WMHT and TvFILM will be airing extended filmmaker interviews on the TvFILM blog. The return of the lethal improvising trio NIRUSU III - on CD! A full-length studio recording made at the legendary Maybeck Recital Hall* is in post production and will be available before the end of the year. This recording promises the outré-elegant improv NIRUSU III that earned them a reputation. Watch for previews and samples here!